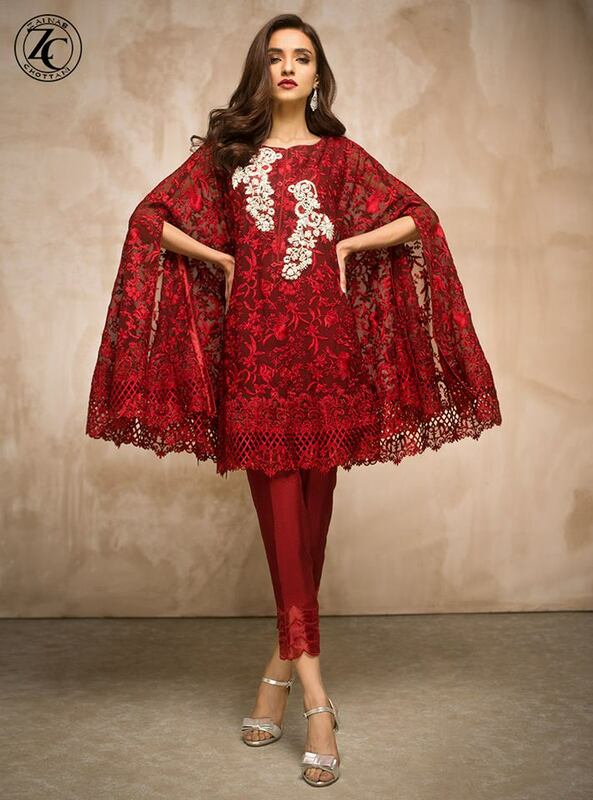 Zainab Chottani recently introduced a magnificent collection for Valentines day in eye catching Red. Absolutely gorgeous collection to make your day special. Luxury pret collection embellished with traditional embroidery and modern cut and work. Zainab Chottani is one of the best and well known fashion designer in Pakistan also introducing wide range of clothing for girls and women according to latest fashion trends. Zainab Chottani also a trend setter fashion designer or mostly Pakistani girls like to wear Zainab dresses due to his creative work or sophisticated style. So this time Zainab Chottani introduced a adorable collection for Valentines day. This collection consisting of 2 pcs dresses in Red color. So hope you like these dresses or make a gift for you special love.